Central Department Store, Grand Indonesia East Mall finally greets Jakarta’s Fashion Lovers on Friday, November 28th, 2014. The opening ceremony held with the speech from Mr. Joshua Pycroft as The Managing Director of PT. Central Indonesia and a ribbon cutting ceremony at Rama Lobby Grand Indonesia Jakarta by His Excellency Mr. Paskorn Siriyaphan (Thailand Ambassador), Khun Sudhitham Chirathivat, Khun Yuwadee Chirathivat (President of Central Department Store), Mrs. Tessa Natalia D. Hartono (President Director of Grand Indonesia), and Mrs. Grace Katuari (Commisioner of Grand Indonesia). The event continued with a fashion show by participated collections from Thai and Indonesian designers such as: Patinya, Rostaniyom, Attithan, Yosep Sinudarsono, Danjyo Hiyoji, Ardistia New York and Iwan Tirta Private Collection, and also from international brands such as BCBG Max Azria and Karen Millen. The four floors Central Department Store span over 20,000 sq.m., bringing a new shopping experience to Indonesia with top international fashion labels, service beyond expectations and showcasing the best of Indonesian and Thai fashion designers, with a great number available exclusively only at Central Department Store Indonesia. 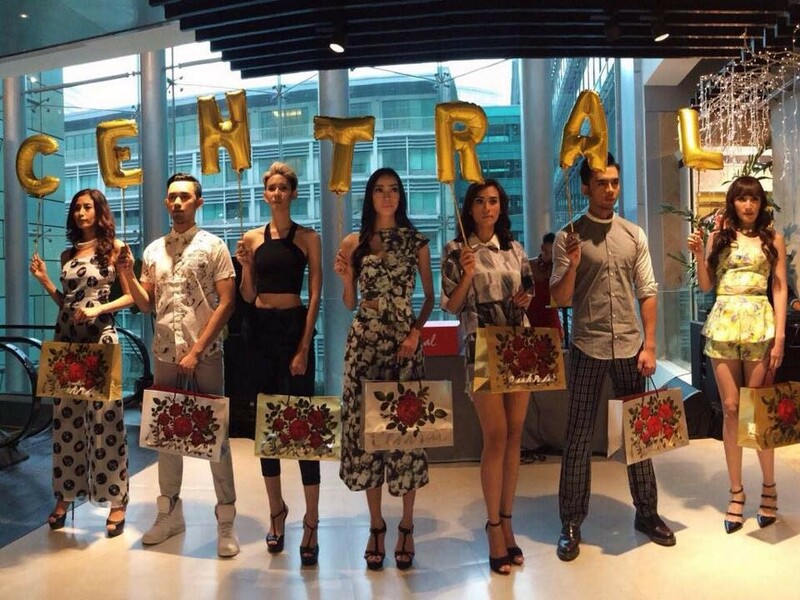 Central Department Store Indonesia has carefully selected products and services that will complement the lifestyles of modern, confident and fashionable professionals who want the best offerings to enhance their lives. With over 500 brands on offer, this Flagship store will carry some of the world’s best renowned designers with the likes of Isabel Marant, Kenzo, Karl Lagerfeld, Marc by Marc Jacobs, RedValentino and Vivienne Tam. Also, there are more cutting edge labels such as Adidas by Stella McCartney, American Rag, Evisu, Kurt Geiger and Scotch & Soda, for every style and look. Central Department Store Indonesia values and believes in local creativity, so is active in supporting and championing the burgeoning global reputations of Thai and Indonesian designers. With Indonesian labels such as Jeffry Tan, STELLARISSA, Ivan Gunawan, Hian Tjen, Ikat Indonesia, Paul Ropp and Danar by Danar Hadi we are pleased to also present some of the best Thai designers fashion collections such as from Athittan, BOYY, Disaya, Ek Thongprasert, 77th ACC and Thea by Thara. ‘Service beyond Expectations’ is the mantra of Central Department Store Indonesia, with a range of services that are available to enhance the shopping experience. With baby-strollers & wheelchair availability, taxi reservations, the Central Gift Registry, Central Kids Club, VAT refund services for tourists, Gift Cards and Gift Vouchers on offer, it helps to ensure that Central Department Store Indonesia is here to look after their customers and make their visit one that they will remember. In addition to these services, Central also invites customers to join the The 1 Card. This is a loyalty card program that offers a vast array of benefits, such as points for shopping, special promotions and offers that are dedicated to The 1 Card members. Appreciating that customers choose to shop at Central Department Store Indonesia, Central presents the exclusive Diamond Society Club for their loyal patrons. Diamond Society members have privileged services dedicated to them with access to the Premiere Lounge, reserved parking, a personal assistant in-store, home and hotel delivery and exclusive invitations to special Central Department Store Indonesia events. To celebrate the opening of the first Flagship Central Department Store Indonesia, there are enticing offers! From 20 – 30th November, 2014 there will be up to 20% off all brands. 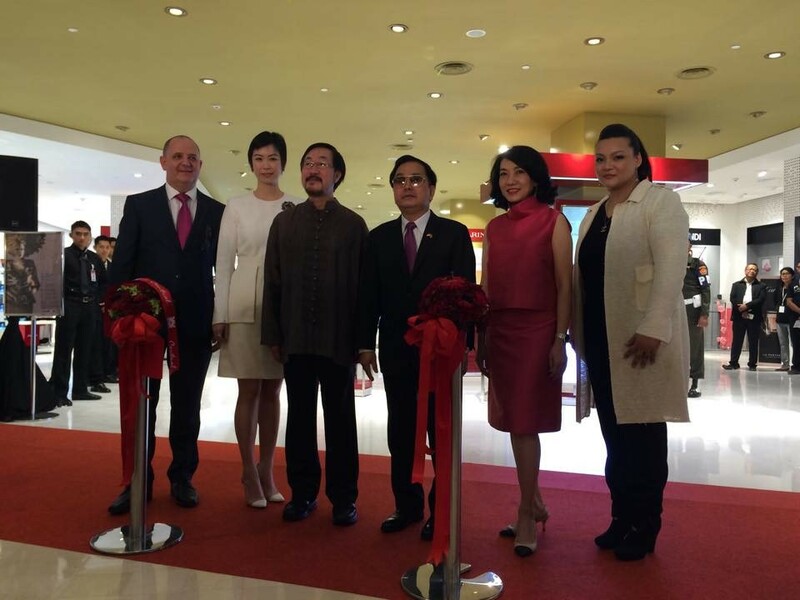 In addition, there will be an extra bonus 10% off for Bank Central Asia (BCA) card holders on participating brands for the opening 20 – 21st November, 2014 and also at the Central Midnight Sale, 28 – 30th November, 2014.